HAPPY THANKSGIVING!! 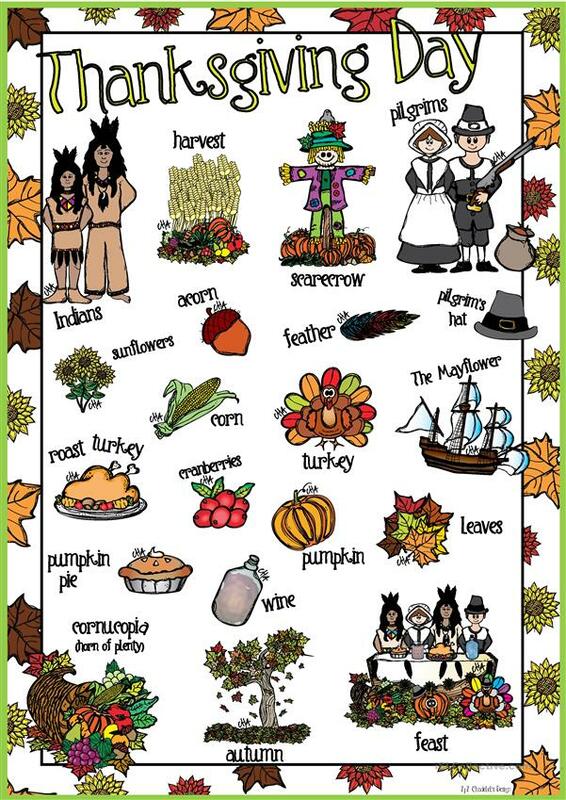 A poster to decorate the classroom with Thanksgiving things! I hope you like it! Cha. This downloadable worksheet is intended for high school students, elementary school students, kindergartners and nursery school students and adults at Beginner (pre-A1), Elementary (A1) and Pre-intermediate (A2) level. It features the topic and words of Thanksgiving.